If you’re in need of an expert roofing specialist in Elberton, GA, Raborns Roofing & Restorations is the name to remember. Our team is pleased to provider complete roofing services to the many roofing systems throughout the area. 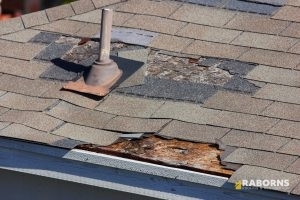 From replacing a missing shingle to a complete redo of the whole roofing system, we’re the ones for the job. We tend to commercial and residential roofs alike. So what are you waiting on? Give us a ring today at (706) 814-3207 for your roof repair and replacement in Elberton, GA. If you don’t happen to see the service that you’re looking for on the list above, please feel free to give us a call at (706) 814-3207. Our helpful team is more than happy to explore how we can help you. When it comes to roofing services in Elberton, GA, Raborns Roofing & Restorations does all in our capabilities to make sure you’re getting nothing less than the best. Also, we want to make sure that you remain worry free from the beginning of the process down to the very end. whole process and are certain to leave the space as spotless as we originally found it.|Once we’ve provided Quality roofing services are what we feel that each and every one of our customers should receive. Our roofing technicians are here to provide you with top level services for both residential and commercial roofing systems. Each of our customers’ satisfaction is our main for us. If you aren’t 100% happy with the final product, then our job is not done. You can look to the specialists at Raborns Roofing & Restorations to deliver A-1 roof repairs in Elberton, GA. Feel free to call us at (706) 814-3207.